Best of the week: all the news and reviews 31.08.13 | What Hi-Fi? This week on whathifi.com we reported on Sky's announcement of two brand spanking new Sky+ HD WiFi boxes, as well as mobile network provider Three's plan to move into the 4G market, and LG's announcement of another product in its G Series line-up. Reviews made their way online with T+A's DAC 8, Panasonic's new Blu-ray player and a budget effort from TV manufacturer Finlux all being scrutinized. And don't forget, this week marks the release of the October issue of What Hi-Fi? Sound and Vision, packed with reviews on the latest wireless docks, our 16 page special on speakers and a full-to-bursting First Tests section of new product reviews. It's on sale in print and online, now. It's been a while since we last saw a new Sky+ HD box in our test rooms (2010! ), and it looks like Sky has finally upgraded the venerable set-top box by adding wi-fi and a bigger hard drive. The wi-fi connection will allow access to the company's On Demand service, meaning the latest boxsets and movies will available at the touch of a button. We quite like the bump up in terms of storage, too, up to a robust 2TB. Good news for those signed up to Three's mobile network. If you have a 4G phone, you will be the beneficiary of an upgrade to the mobile operator's 4G network at no extra cost. From December (and gathering pace in January), customers will be able to connect to the super-fast service via a software update. Three aim to have the 4G network up and running in 50 UK cities by the end of 2014, joining the EE 4G, O2 4G and Vodafone 4G networks. It looks like LG are ramping up their presence in the mobile market with confirmation of the LG G Pad 8.3 tablet. The 8.3 in the title stands for the 8.3in screen, and the G Pad marks the second product in the Korean giant's G Series porftolio. Rumours abound about a 2013 fourth quarter release, but no date or price has been set as yet. Expect some more news on the tablet, and more, from the consumer electronics show IFA 2013 which kicks off in Berlin next week. 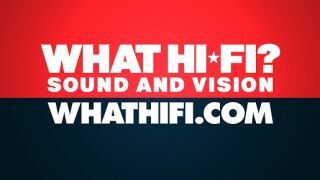 whathifi.com will be there on the show floor bringing you the latest updates. Xbox One to go sale November 8th? Despite its price, German manufacturer T+A's DAC 8 more than justifies the cost with its performance. Beautifully engineered and boasting a compact, unassuming design, the DAC 8 offers a sense of refinement and balance that your music collection will thank you for. The fight for the Product of the Year award in the Blu-ray category last year came down to Sony and Panasonic. It was close but Sony won out in the end. The Finlux brand may not carry with it the same weight as Samsung, Panasonic or Sony, but the company regularly holds its own with TVs from those companies, thanks to knockdown prices. The 32F7020-T carries on Finlux's tradition of making really good TVs for prices that won't make your wallet shrink away in shame.